Kid's obsession with dinosaurs has many advantages. This obsession in them can help in their intellectual development and critical thinking. Does your child have a great interest in dinosaurs? Are they obsessed with the names and features and rant strange facts about each kind? You might ignore this as a phase that they will get over, and they definitely will in a few years. But psychologists have focused on this unique obsession and found a very interesting pattern. Experts term this obsession as “intense interest,” a key sign of high intelligence. Studies conducted at the Universities of Indiana and Wisconsin found that intense interests were beneficial for the intellectual development of a child. Researchers found that most parents have no idea when and what sparked such an interest in their kid. However, a third of kids between the age of two to six years are found to develop an interest in a specific thing. The interests may range from cars, planes, superheroes, to—of course—dinosaurs. 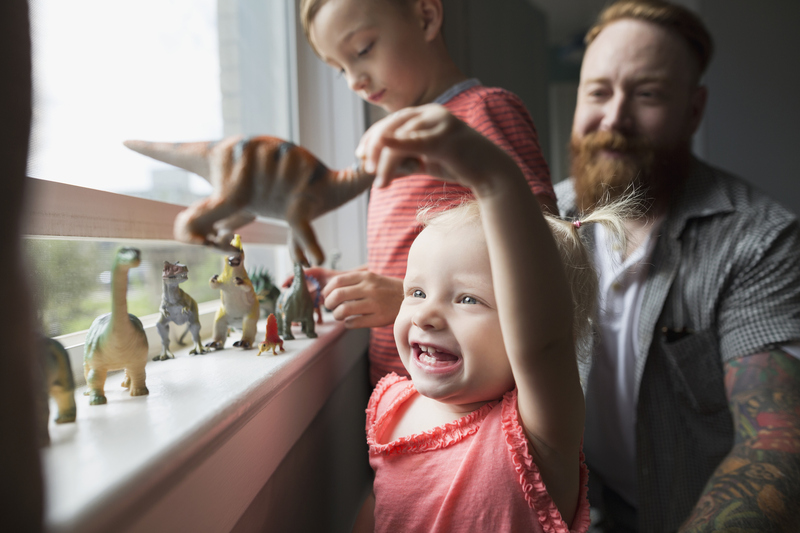 Experts found that children who are more interested in dinosaurs are likely to pay close attention to information and process them well. When a child is keenly interested in something, they tend to pay closer attention and process information more efficiently. They also have a deep quest to understand the object of their fascination at many different levels, which leads them to analyze an event or situation from multiple perspectives. For example, a child might not just learn the complex spelling of a "Tyrannosaurus" but also visually distinguish this from a Spinosaurus. They insist on knowing their pronunciation, how they sounded, and how different their skeletal structure was from other creatures. Children even tend to correct their parents who mispronounce the names of their favorite creatures, “That’s a Mosasaurus, Mom! Not Masosaurus!" This enables the child to pick up multiple skills that require more complex cognitive abilities than common for their age. 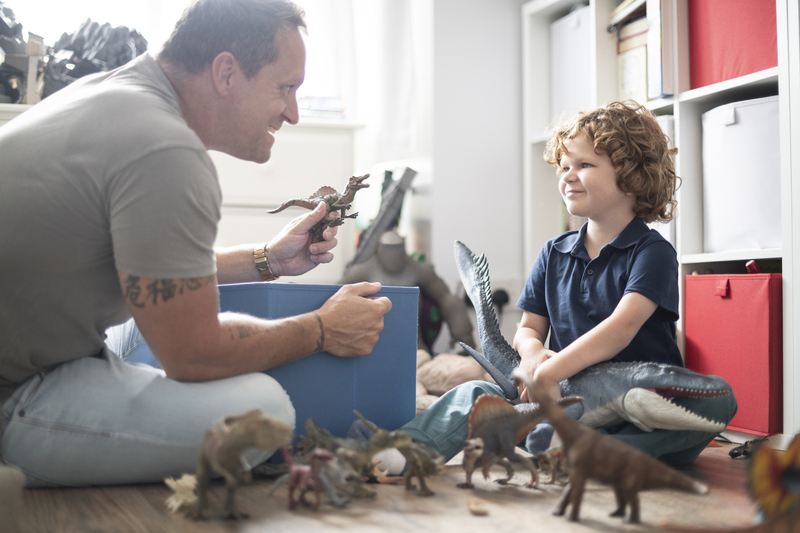 The researchers also found that children who were interested in anything such as cars or dinosaurs had a longer attention span and were likely to be fast learners and develop better linguistic skills. Psychologists also found links between how some kids study their interests and the strategies they will use as adults to face challenging life situations. Most importantly, a deep fascination makes them autonomous decision makers who will not settle for less than convincing facts to quench their curiosity. 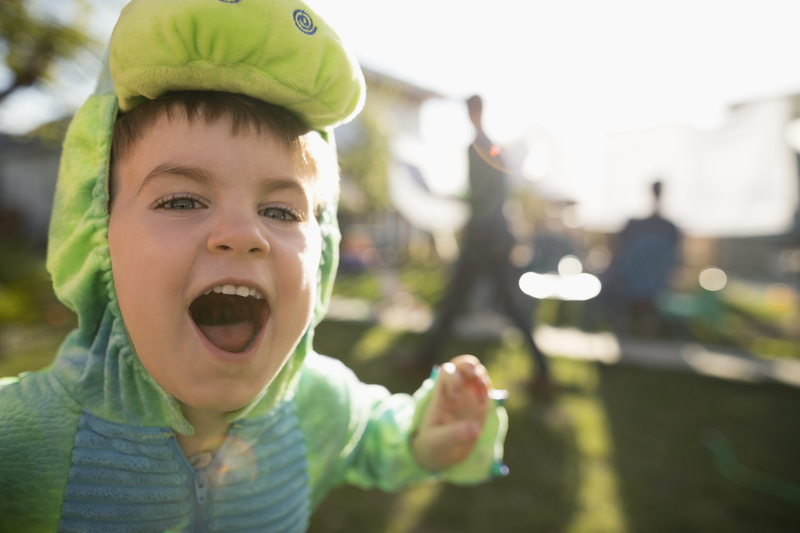 If your child is obsessed with dinosaurs, cars, or any specific object, it is important to acknowledge it and motivate them to be happy about their passion. Here are a few ways to encourage their love for the pre-historic creatures. Games: Various games are available in the market that can be fun and educational for your dinosaur-obsessed child. Jurassic World Alive, PBS Kids and Teachers Pay Teachers are some games that can help your kid understand dinosaurs better. Specific games for cars, trains, flags, etc are also available. 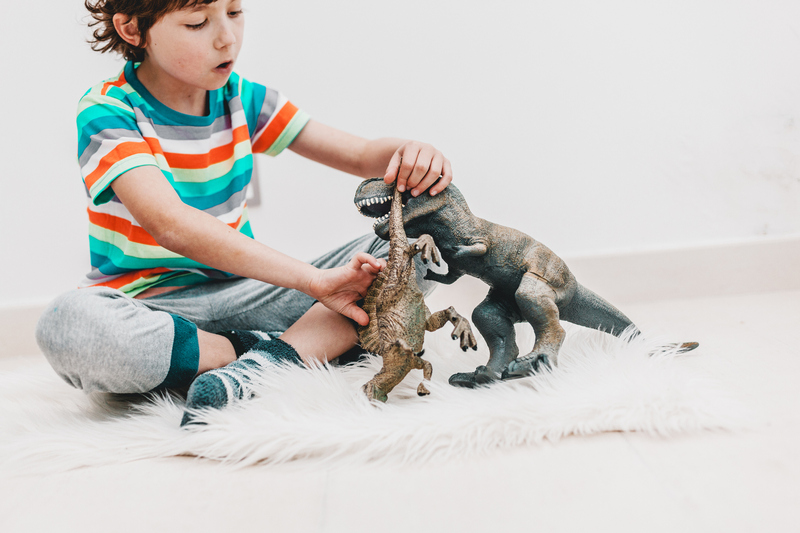 Organizing a dino dinner: If your kid has friends who are also interested in learning about dinosaurs, organize a dinner and include various elements that allow them to learn new things together. Perhaps, a DIY dinosaur excavation game? Follow #Dinosaurs on Instagram: By following the hashtag, you and your kid can learn and discover the names and history of these creatures. You can also educate your kids on fossils and other discoveries made in the dinosaur world. YouTube: Virtual reality videos on YouTube is an excellent way to entertain and educate your curious kid. With YouTube’s RyanToysReview, you can give your kid the experience of a dinosaur museum.